Sometimes, your prospective users need a little extra help getting to know your system and how it can work for them. A simple FAQ may not be detailed enough, but a video walkthrough may be too much to sit through and try to understand. 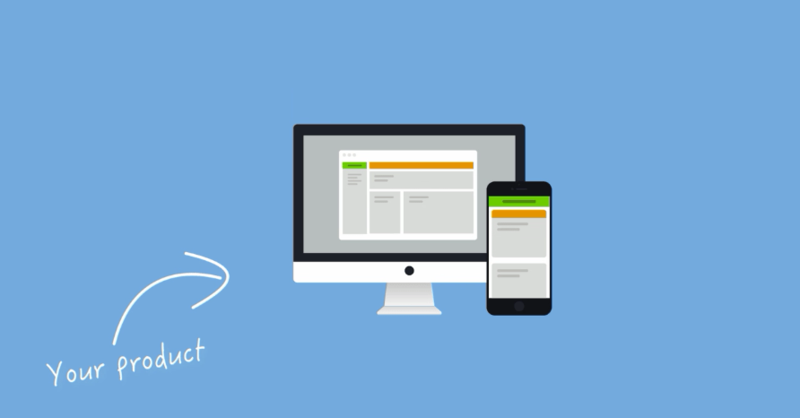 Tutorial based onboarding can be used to provide users with contextual help. 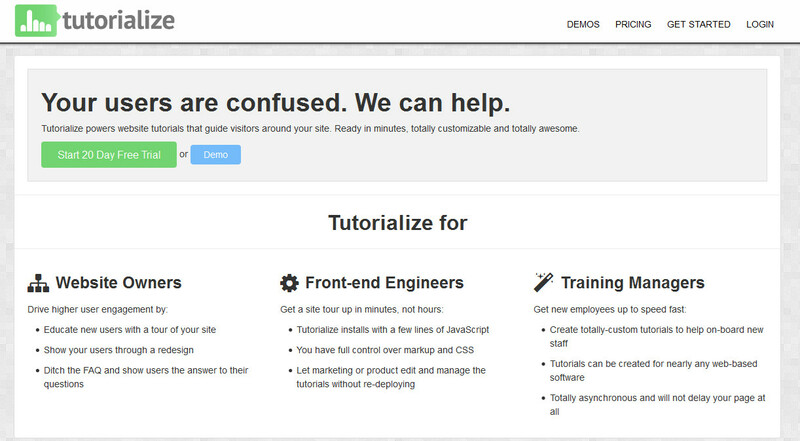 Tutorialize lets you add tooltip-style actions to your site or web based service. You can show the number of tooltips in the tutorial or stop it early. As part of the interactive demo, you can highlight certain parts of your site or service while other parts remain shaded, similar to a lightbox effect. Try the on-site demo for an example or start a 20-day free trial. Pricing starts at $14/month but includes company branding on the last slide. A non-branded version is available for $34/month. If you need something a bit more robust to guide your users through your site or SaaS, consider AppCues. Similar to Tutorialize in that you can put sticky tooltips on your site, AppCues goes a bit farther in terms of customization. You can also include a full-screen “Welcome” page, a slide out or an in-app alert. AppCues also offers the ability to segment users, so only certain groups see the announcement or tooltip, so you can track how well your new demo walkthrough is performing in terms of converting customers. AppCues starts at $45/month for up to 250 active users. The number of users goes up significantly with higher pricing tiers. 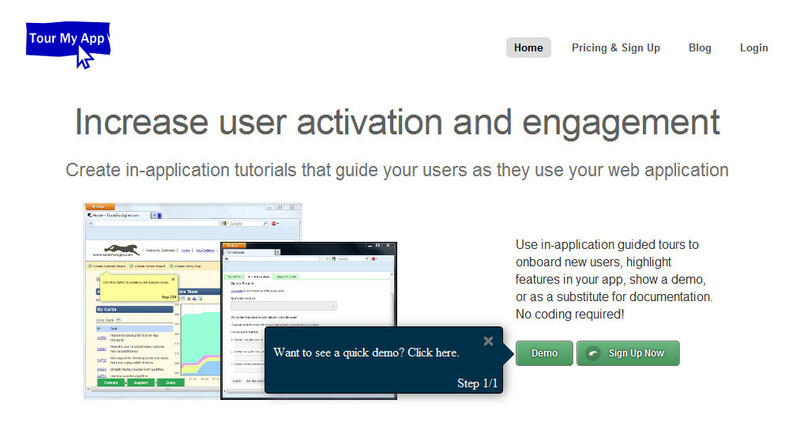 Oh, and did we mention that AppCues works beautifully with KISSmetrics too? Sometimes you don’t need an on-screen tutorial so much as a way to guide users to get help when and where they need it. Traditionally, this involved a variety of solutions, including live help, a helpdesk/knowledgebase system, email-based support and so on. These outdated methods mean that you could lose a customer at any one of those steps. With email based user onboarding, you can prevent these losses while unifying your support into a more streamlined, analytics-based system. Intercom is a multi-pronged support platform that lets you observe what’s happening on your site, as its happening. Where it truly shines, however, is in its email and in-app-based engagement system. For example, if you just released a new version of your software program, and wanted to update users who downloaded the previous version just a day ago, you can simply create a filter through the Intercom dashboard, and those users will be immediately visible. Then, just type in your announcement, and they’ll see it the next time they log in. This process works via email as well as in the app itself. A simple slider-based pricing system lets you customize how much you pay for Intercom based on the number of users you have, and the end goal you want to achieve. For example, observing customers costs you nothing, while engagement, the package in the above video, has both a basic and pro plan with various integrations and features depending on your needs. Autosend’s main focus is to help you avoid losing customers at various stages of the product acquisition lifecycle. 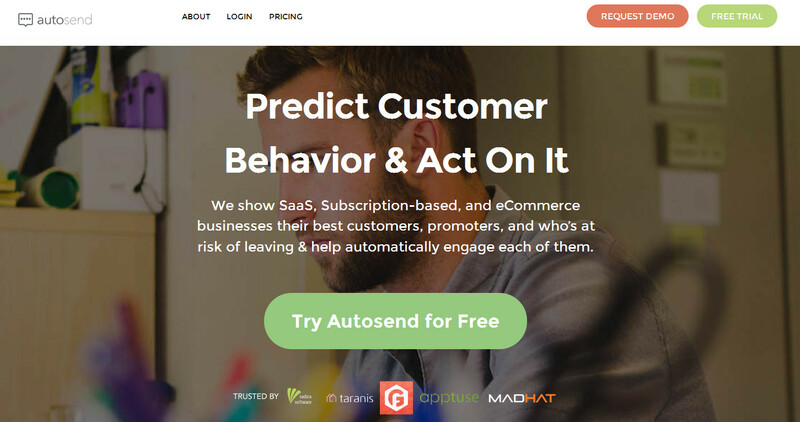 Autosend is driven by a customer’s behavior, so if it looks like they’re about to drop off due to lack of interaction with your product, you can send a gentle email, SMS or in-app message to guide them into the action you want them to take. Perhaps one of Autosend’s best features is that so much of the system is already built from the ground up to perform. It has split testing capabilities and takes just a few minutes to set up with no coding know-how whatsoever. It also integrates with a variety of systems to help you create filters based on your best customers, your at-risk customers and more. You can also craft up-sells, down-sells and a variety of other options through the intelligent dashboard system. Autosend starts at $199/month for up to 3,000 customers and comes with a free trial. Tour My App is a simple tool-tip system similar to Tutorialize. You can customize every aspect of the sticky note and see precisely how and when users interact with the tour. You have full control over how the tour appears, so users can’t simply click “Next” to skip through it. Rather they’ll need to complete a certain action, like typing or clicking, to continue. Tour My App also has some advanced features in that it supports dynamic elements and AJAX. It also tracks who has seen the tour so that they don’t see it again (unless you have an update). The starter package is just $14/month, but the more advanced pricing tiers support features such as multilingual tours and funnel based analytics. There are times when you really wish you had just a bit more precision in your onboarding process or the ability to create more of a training system that brings all the benefits of a good user experience to your employees. We’ve got you covered too! 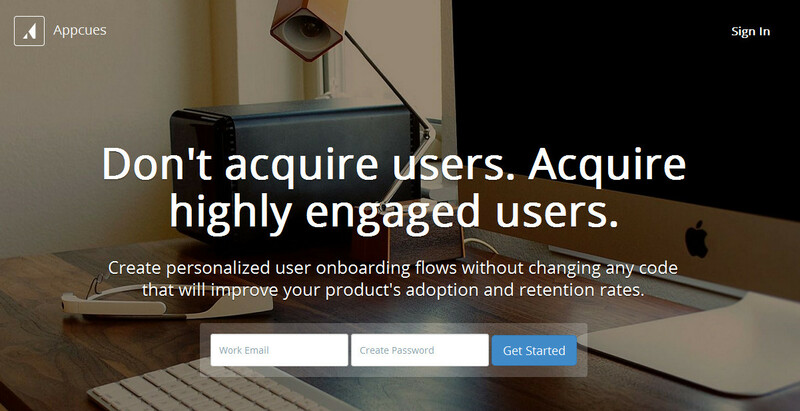 What if you had an onboarding system that would display landing pages based on smart segmentation? With MyTips.co, you can. On-screen tooltips can be delivered to just about anyone that fits just about any criteria. Want to display tooltips to users from a certain city? Want to show tips to only people who visited your pricing page? Done and done. It comes with robust analytics too, so you can see just what effect your guided tour has on your users. And did we mention it happens to integrate beautifully with KISSmetrics? MyTips.co has a free package for up to 5,000 unique users and 3 tutorials/tooltips. Paid packages start at $59/month for up to 25,000 users and unlimited tutorials/tooltips as well as analytics. What if you had all the benefits of a detailed employee or user manual, but could see precisely how your employees or users interacted with it from an educational-based standpoint? You can embed nearly any type of content into Trainual, then add your team, and see where they may be struggling with material. You can also segment users so that they only see the training they need to, and are gated off from the rest. 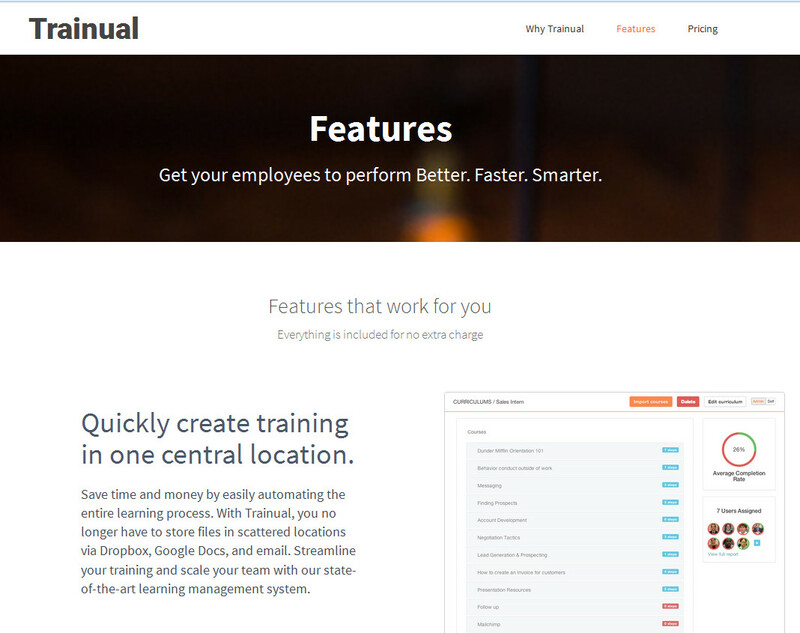 In addition, Trainual will show you who completed what and when. See how far users or employees progressed in their training and email them a gentle reminder that there are new documents, videos or other files to learn from. There’s an internal knowledge base too, so if they get stuck, they can always reach out and ask questions while other employees step in and lend a hand. As with any effort, tools aren’t meant to replace testing or insights. When used together as part of your overall campaign and marketing strategy they can augment your existing work and help you learn valuable details about the very groups you’re working hard to attract. With that being said, have you used onboarding in your marketing? What are some of your favorite tutorial and documentation tools? Share with us in the comments below!